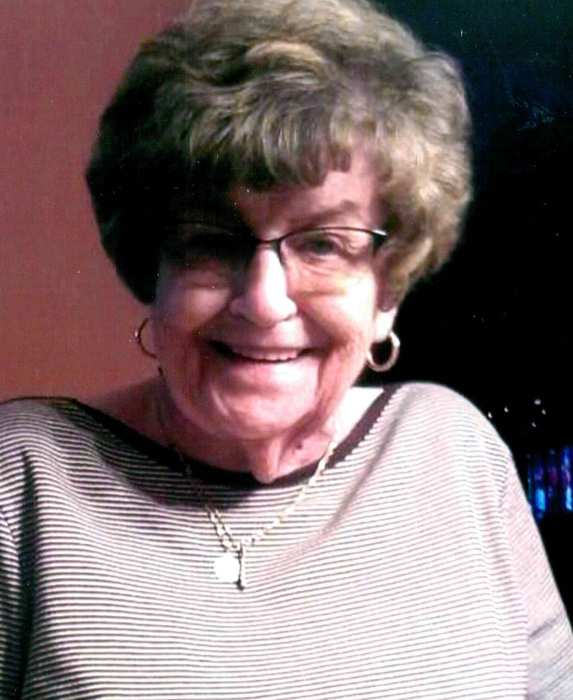 Shirley Mae Larson, age 81, of Ottawa, passed away Sunday, December 2, 2018 at OSF St. Elizabeth Medical Center. Funeral services will be held 11:00 a.m. Friday, December 7th at Gladfelter-Roetker Funeral Home with the Reverend Corey Krengiel officiating. Entombment will follow in the Shrine of Rest at Oakwood Memorial Park. Visitation will be from 4:00 to 8:00 p.m. Thursday at the funeral home. Shirley was born February 11, 1937 in Ottawa, a daughter of Michael and Edith Eleanor (Grady) Onofrey. She married Philip Larson August 29, 1959 in Seneca, Illinois. She is survived by Philip, her husband of 59 years; sons, Mike (Kim) Larson and Mark (Angie) Larson all of Ottawa; grandchildren, Haley (Brandon) Aubry of Utica, Dylan Joseph Larson of Florida, Jessica Jackson of Marseilles, Hannah and Chloe Larson of Ottawa; great-grandchildren, Parker and Wyatt Aubry. She also leaves a sister, Annabelle (Eugene) Lee of Ottawa. Shirley was preceded in death by her parents; brothers, Michael and Jack Onofrey; great-granddaughter, Addelynne Marie Narwick and a nephew, Michael Hunter, Jr.
Shirley was a homemaker her entire life and the CEO of Larson Racing. She enjoyed playing Bingo, cooking, shopping and was known to frequent casinos in the area as well as LasVegas. The time she treasured most was that spent with her children, grandchildren, great-grandchildren and her beloved pets.